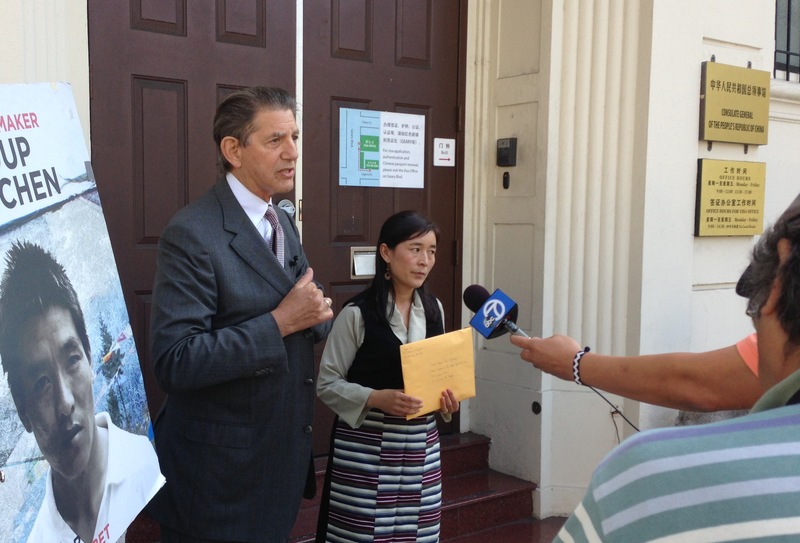 (San Francisco) 9 October 2013 – Lhamo Tso, wife of filmmaker Dhondup Wangchen, accompanied by actor Mr. Peter Coyote, will go to the Consulate of the People’s Republic of China in San Francisco today to handover letters and pictures for her husband who is in a prison in China and whose birthday is on October 17. Dhondup Wangchen’s case is known internationally. He was awarded by different groups for his courageous documentary. The self-taught camera man and film maker travelled across Tibet with his assistant Golog Jigme in 2007/2008. His film “Leaving Fear Behind” (28 min.) was translated in a dozen languages and screened in more than 30 countries worldwide. Background on releases of political prisoners.